This 5.56 Assembled Upper Offers Amazing Stopping Power And Accuracy Which Makes It The Perfect Option For An AR Rifle. We’ve Felt That This Amazing Blend Of Attributes Made This Kit Adaptable In Its Use And Ability To Be Used Anywhere Under Every Circumstance. This 5.56 NATO 16" 4150 CMV QPQ Nitride Heavy Barrel From ELD Performance. ELD Performance Has Taken Their Already High End, Match-Grade Sub-MOA 4150 CMV Then Applied A QPQ Nitride Treatment. This Melonite/Nitride Treatment Increases Its Rigidity & Hardness By Up To 300% Making It More Durable Than Chrome Lining. 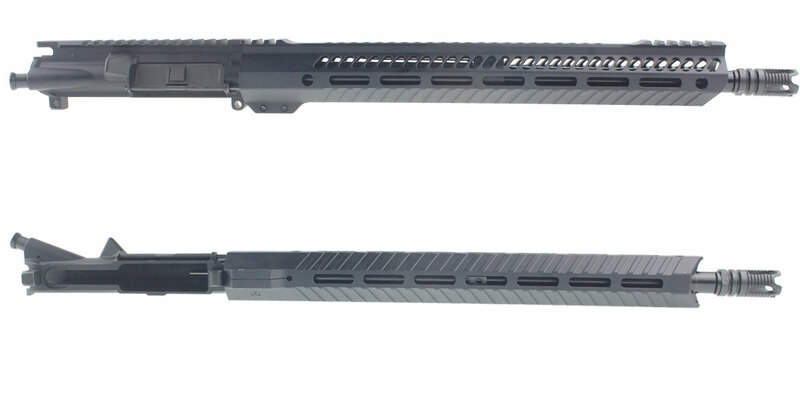 This Upper Also Features A Davidson Defense Premium 15” “Avalon” M-Lok Handguard. 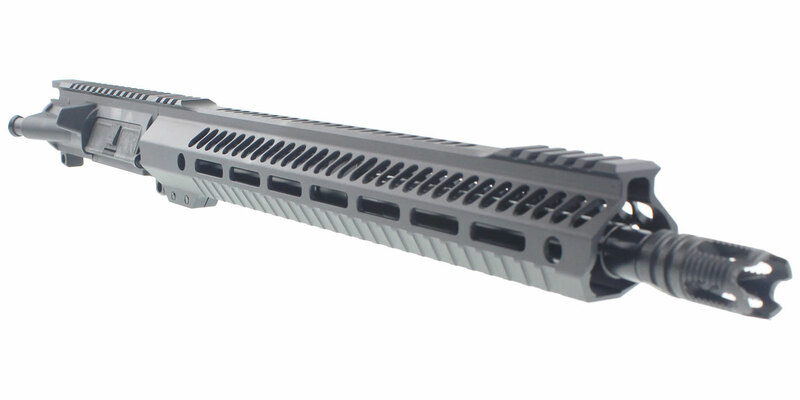 This Handguard Is Made From 6061 Aluminum And Has A Black Anodized Finish. 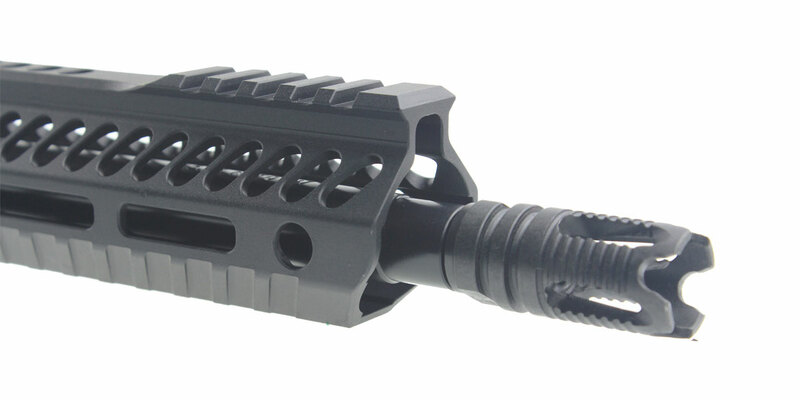 This Handguard Is Optimized For Mounting A Variety Of Accessories. This Build Includes The Recoil Technologies Popular Phantom 4 Port Muzzle Brake. This Muzzle Brake Features And Aggressive Profile Which Has Been Redesigned To Work As A Muzzle Compensator While Maintaining The Excellent Flash Hiding Capabilities And Dissipating Gasses More Effectively Than Of Its Predecessor. 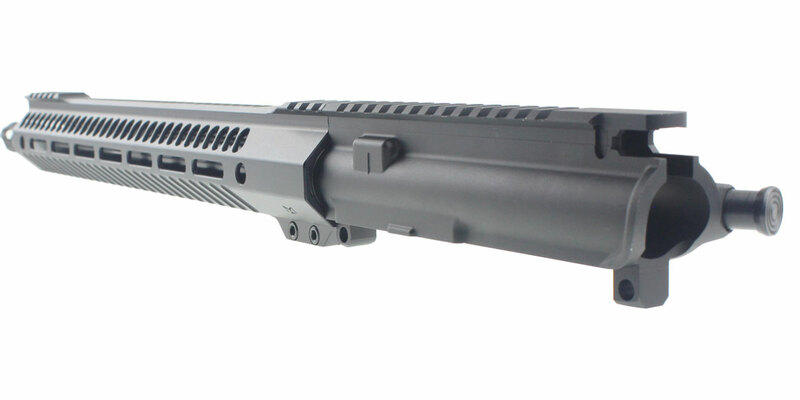 The Phantom Muzzle Brake Keeps The Aggressive Front End Used In Hand To Hand Situations. Made In The USA.